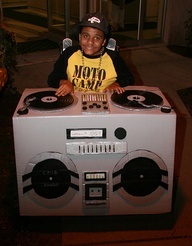 Apparently, the boy’s parents built his Halloween costume around his wheelchair. Now, THAT is innovation! 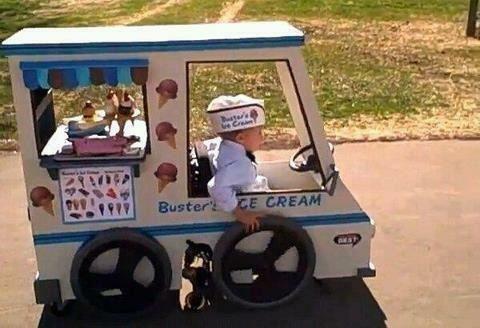 THAT is a Mom and Dad who decided that their child’s special needs would not stand in the way of his happy childhood. THAT is inspiring to all of us who struggle to help our children feel “normal”, even within their difficulties. Parents like this inspire me – people who are dealing with so much more than I am, yet who don’t let it get in the way of living the best adventure possible with their kids. I did a little more digging and saw the following couple costumes (it is amazing the ideas that innovative parents come up with – more can be found by searching online). Enjoy! Lately, the Scoliosis (and the financial) worlds have been abuzz with news about The ScoliScore AIS Prognostic Test, which is, according to the website www.scoliscore.com, “the first clinically validated and highly accurate prognostic test for AIS curve progression.” This is pretty amazing news – it can literally change the path that children and their families face when being diagnosed with Adolescent Idiopathic Scoliosis. But, is this a test that we should really put our money, hopes, and futures on? I did some digging and offer you some of my research tidbits, as well as my opinion. I will start by saying that the ScoliScore, in its current state, will do nothing to help either of my children with their treatment plan. This test is a genetic test, performed by a simple collection of saliva, that will give a numerical value on a patient’s likelihood (based on 53 genetic markers) of having his or her curve progress into the surgical level by the time he or she reaches spinal maturity. However, in its current state, the test only works for Caucasian children between the ages of 9 and 13, who are diagnosed with Adolescent Idiopathic Scoliosis (AIS) and have mild curves (between 10 and 24 degrees Cobb Angle). Both of my children were diagnosed much younger than 9 (therefore, their diagnosis is Juvenile Idiopathic Scoliosis) AND my daughter’s curve has been above 50 degrees for a couple years, so we are already beyond the “not knowing” stage – we KNOW that her curve be bad because it already is. However, if your child does have AIS and is Caucasian (and meets the other parameters), the test might help you map a course of action for your child’s treatment plan. As I mentioned before, the ScoliScore has been in the business press quite a bit as well, mainly because Transgenomic, Inc is acquiring the global rights to Axial Biotech’s ScoliScore for $4.4 Million. See the article in Business Wire The test itself is pretty pricey (around $2,600), but is covered by most insurances. This article also has some helpful data regarding the percentage of people who may be able to benefit from this test: “Each year, 100,000 children between the ages of 9 and 12 present to physicians with a mild AIS curve ≥10 degrees. Approximately 2-4 percent will eventually experience curve progression necessitating an instrumented fusion procedure. This means that approximately 96,000-98,000 of these newly diagnosed patients will not progress to a curve requiring instrumented fusion. As a result of the inability to predict which patients will require surgical intervention and which will not, a large majority of patients undergo medical and radiographic monitoring that, with the use of ScoliScore™, may not be required.” Unnecessary x-rays can contribute to other health conditions, like cancer, so it is important to minimize their use. However, the test is so new that many people don’t feel comfortable enough to base their health decisions on its accuracy. And, just because a curve hasn’t reached surgical level, does not mean it is not significant. 45-50 degree Cobb Angle curves still create deformity and pain in adults. So, suggesting that a patient do NOTHING is not, in my opinion, a good course of action, even if his or her ScoliScore indicates they won’t progress to surgical level. The best benefit I see to using the ScoliScore test is to help a patient determine if they can get by with less aggressive bracing strategies and/or limit the frequency of x-ray testing. And, of course, to bring peace of mind to all involved. But, I still feel it is important to stay on top of the curve with some sort of preventative intervention, such as the Tornado Suit and ARC3D approach that Dr. Morningstar employs, the Pettibon or Clear system of therapy, or the Spinecor, etc. There are other therapies that may also be useful to a patient, but it is important that patients do not use this test as an excuse to sit idly by and allow Scoliosis to progress too far. We have enough of the “wait and see” mentality in this country when it comes to Scoliosis, so I fear this test may push patients along that same course of action. As a Mother, though, it sure would make me sleep better at night if I knew with 99% accuracy that my children’s curves would stay under surgical level. So, if you are considering this test, and your insurance will cover it, it seems like a good piece of information to have in your pocket. However, I would urge you to continue to seek proactive ways to keep the Scoliosis at bay, no matter what the score reads. As my daughter turns 11 today, I am reminded of how far we have come in our Scoliosis Family Adventure thus far…and I can’t help but think wistfully of where we could be had I known certain things now that I didn’t know then. I know that we can’t beat ourselves up in life for poor choices we unwittingly (or purposefully) made in the past, but every once in a while I kind of breathe a deep sigh and wish I could change a couple things. What would I have changed? Well, for starters, I wish I would have known to MAKE SURE our pediatrician was doing screenings regularly for Scoliosis. We found my daughter’s on a fluke, and we no longer see the pediatrician we were seeing at that time, but I thought they were very good and thorough – to be honest, I have no idea if they routinely checked. Recently, I posted on my personal facebook page a post reminding all of my friends to make sure their children are being screened. Had we caught it sooner, we could be in a very different place now. Maybe not, but we could be. Secondly, I would have ACTED SOONER! I have said this over and over on this blog, but I listened to the worst advice ever given to me and did the “wait and see”. I just didn’t know and I thought that I could procrastinate any emotion or problems or difficulties associated with this disease…that I could just shove it under the rug for a precious 6 months. So, I didn’t fight it. I didn’t do diligent research (which is very uncharacteristic for me). I just waited. And, what we SAW after 6 months was a doubling in her curve. So, on that same facebook post I said, “If you find your child has Scoliosis, please email me, because I can save you a lot of grief through my lessons learned”. I guess the proof is in how differently we handled my son’s Scoliosis when he was diagnosed. The minute that curve hit 20 degrees, he was in a Cheneau brace. Within a year, he was at 11 degrees. And, I recently asked Luke at Orthotic Solutions (our brace genius) if I should let him be out of it for a while and “see” what happens (you think I would have learned my lesson there). Well, I thank God that I have such a good team of trusted medical professionals, because he adamantly said, “NO”. He has seen a few of his patients get excellent recovery, then take “time off to see what happens”, then end up the same or worse then they were before. What was I thinking anyway? The good thing is that my son is 100% happy to wear his brace at night, so, as Luke said, “there is absolutely no disadvantage to keeping on the current course of action.” Amen. So, remind your friends to have their kids checked out – be to them what you may not have had for you – a knowledgeable friend who has gone before them in this struggle. That is what I hope to be for you – but, also to learn FROM you, because I have so much to learn. Blessings everyone! Well, I am back after a month long (or so) hiatus. I am happy to say we’ve been having a wonderful time over the past month or so – I try to take some more time to do things with the family while they are around for the summer months. But, alas, next week we Michiganders start school again! How time flies. And, this weekend we are heading into a nice, long Labor Day weekend. It is a reminder to me about how blessed I am that my “Labors” are truly labors of love. Not everything I do is fun and peachy all the time, but I do feel that I’ve been truly blessed with a mission to help others through creating comfortable and functional undergarments for patients who wear Scoliosis braces. It is a Labor of Love I never envisioned I’d be undertaking, but a great one nonetheless. I appreciate each and every reader so much and I encourage you all to get out and try something you never expected you would do – whether it’s a new hobby (like theater!) or a new way to serve others…you may find that you can find your own labor of love this Labor Day season. And, if you are suffering from the effects of Scoliosis, take heart! One beautiful thing about our “outside activities” is how we have so many opportunities to educate people about the disease of Scoliosis. One example is that many of the girls that were cast as orphans in the show would bring their American Girl dolls to play with during down times – well, my daughter would bring her doll (with the doll sized brace and bodysuit) and show all her friends what a brace looks like, and what it means to wear one. Then I take the opportunity to talk to the Moms, and the cycle goes on. I am always amazed how many people are touched by this disease – and support comes from the places least expected. People will say, “My cousin has that,” or, “My sister has Scoliosis”… and on and on. 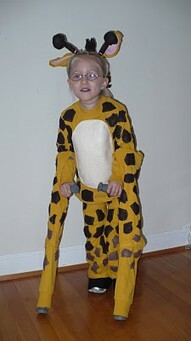 The other great thing is that my daughter is not afraid to get up on stage, crooked spine and all! Not that anyone can tell, from the audience (and, she takes a break from her brace for dress rehearsals and performances). Life can seem to be full of drudgery sometimes when we are dealing with extra challenges, but I hope that in each days’ labors, you can find your labor of love. 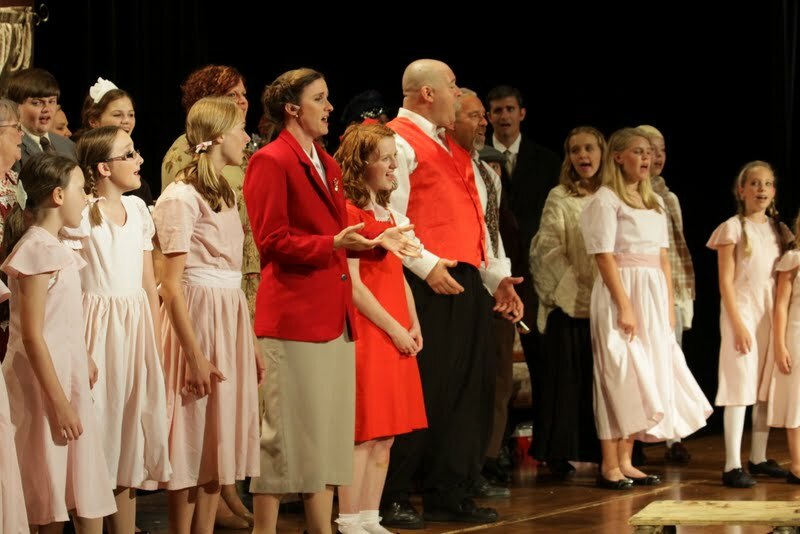 The finale of Annie and one of the few photos I have where my daughter and I are on stage together – she is second from the left and I am in the red jacket.